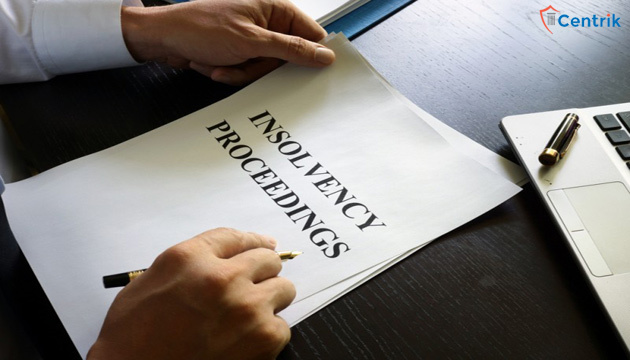 When can Insolvency proceedings commence? CentrikBlogsLegal AdvisoryDebt Recovery ManagementWhen can Insolvency proceedings commence? Posted by Advocate Kunal AhujaPosted on November 17, 2018 November 21, 2018 0 CommentsCategories Debt Recovery Management, Legal AdvisoryTags When can Insolvency proceedings commence?, Who can initiate insolvency proceedings, who can not initiate insolvency proceedings? The purpose of the enactment of Insolvency and Bankruptcy code, 2016 is to revive the corporate debtor/companies which are making default in making repayments to its creditors. When the corporate debtor starts making default in the payment of the amount to its creditors and it goes on for some time, subsequently that corporate debtor/company is deemed as insolvent. Now where a corporate debtor makes default in fulfilling its contractual obligation pertaining to repayment of loans or making the payments against the goods or services any financial creditor or operational creditor cam file an insolvency petition before the National Company Law Tribunal (NCLT) against the Corporate debtor provided the defaulting amount is Rs. 1 Lacs. WHO CAN INITIATE INSOLVENCY PROCEEDINGS? Any financial creditor meaning thereby who provided financial aid or assistance to the corporate debtor for the due course of business, any operational creditor i.e. those who provided assistance to the corporate debtor in some kind therein by providing goods or services to the corporate debtor or the corporate debtor itself can initiate the insolvency proceedings before the Hon’ble NCLT. One or Two Financial creditors can file the joint application to initiate the insolvency proceedings against the same corporate debtor. Anyone member of the consortium of banks even through an authorized officer can file for the insolvency of the corporate debtors and does not require the consent of the other banks. Application for initiation can be filed by the authorized person and not by the holder of power of attorney. * Any application can be withdrawn any time but only before admission and that too after the permission of the NCLT.no application can be withdrawn after the admission even after the settlement has been withdrawn. Demand notice by the operational creditor prior to filing the insolvency petition is a mandatory process. Operational creditors cannot file the joint petition. Demand notice can be sent by the advocate or authorized agent on behalf of the corporate debtor. Trade unions are not considered as the operational creditors whereas only the employee or individual workmen can be considered as the operational creditors. No application shall be admitted if there exists a prior dispute between the operational creditor and the corporate debtor. A member or partner of corporate debtor authorized to file insolvency application under MOA or AOA of the company/corporate debtor. Any member of the corporate debtor who has control or supervision over financial matters of the corporate debtor. Any key managerial person or manager of the corporate debtor. A corporate debtor/applicant undergoing a corporate insolvency resolution process. A corporate debtor/applicant who has undergone the corporate insolvency proceedings 12 months preceding from making the application. Any corporate debtor or applicant or financial creditor who has violated the terms of the resolution plan or liquidation order 12 months preceding from making the application. A corporate debtor/applicant against whom a liquidation order has been filed.